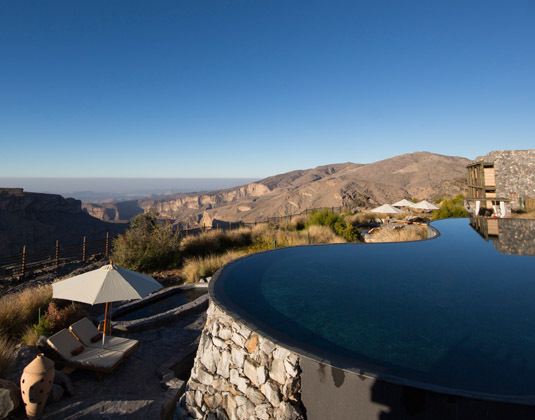 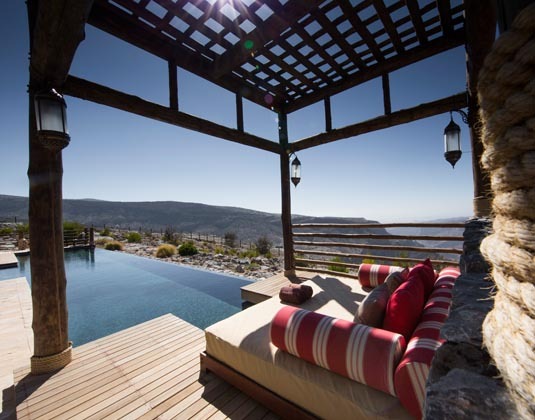 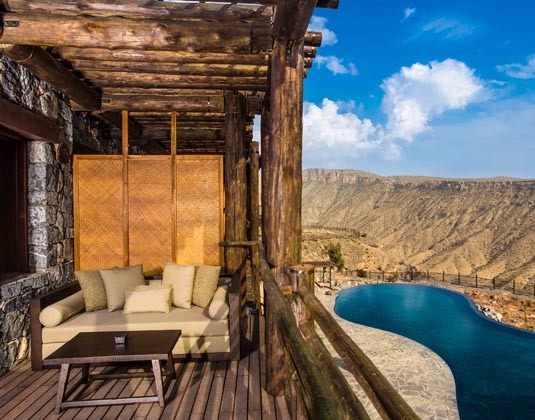 Perched 6,500 feet above sea level, Alila Jabal Akhdar overlooks a dramatic gorge within the spectacular Al Hajar mountains and is surrounded by awe-inspiring views. 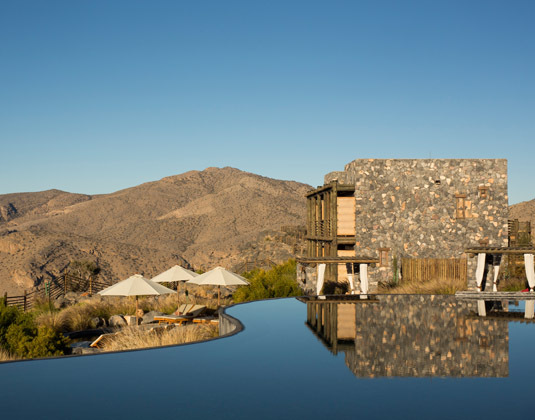 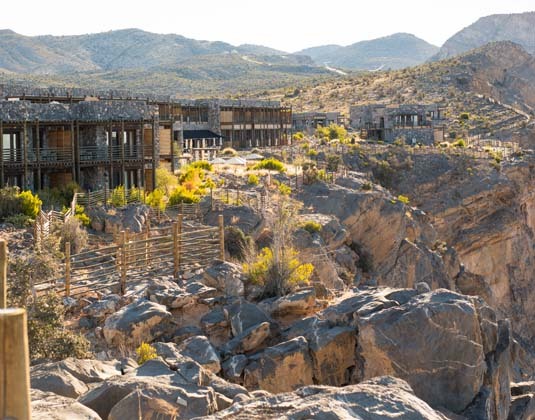 This luxury resort is the perfect base for exploring the region's magnificent landscape of rugged, untouched beauty while experiencing the height of sumptuous comfort. 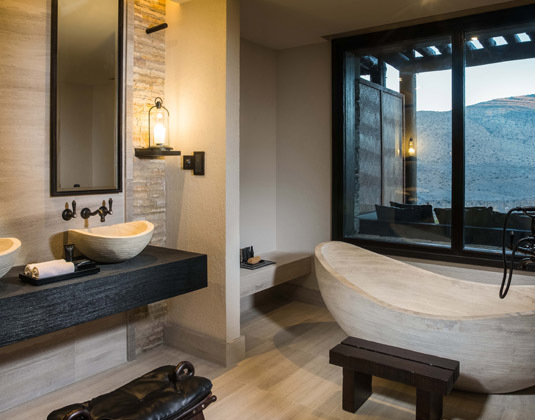 The beautifully appointed suites and villas are located within the main hotel building or arranged in individual clusters of four to six suites, generously spaced out around the clifftop to maximise privacy and uninterrupted views over the mountains and down into the gorges. 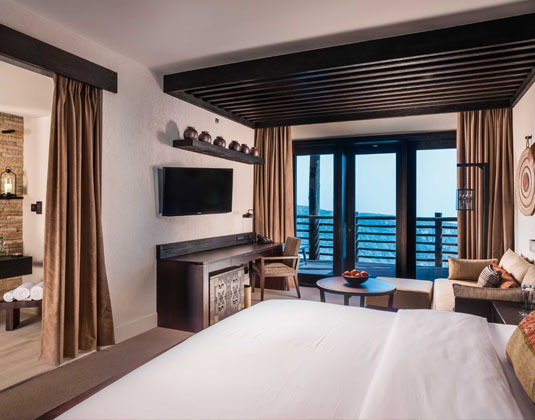 In mountain view suites, housed on the upper level of the main hotel building, with air-conditioning, bath and separate shower, mini bar, seating area, safe and large balcony. 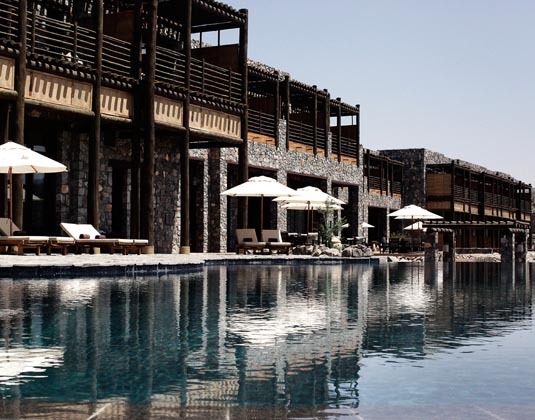 ground floor horizon view suites * first floor ridge view suites * larger Jabal terrace suites, which are on the first floor, and offer an indoor living area and large outdoor terrace * two storey loft suites * Jabal villas which are set away from the main building and combine the indulgence of indoor and outdoor space with the most amazing views and offer a large living room, dining room, kitchenette and pool. 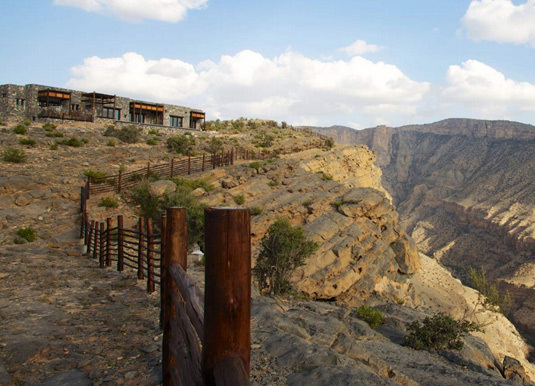 2½ hours from Muscat airport.